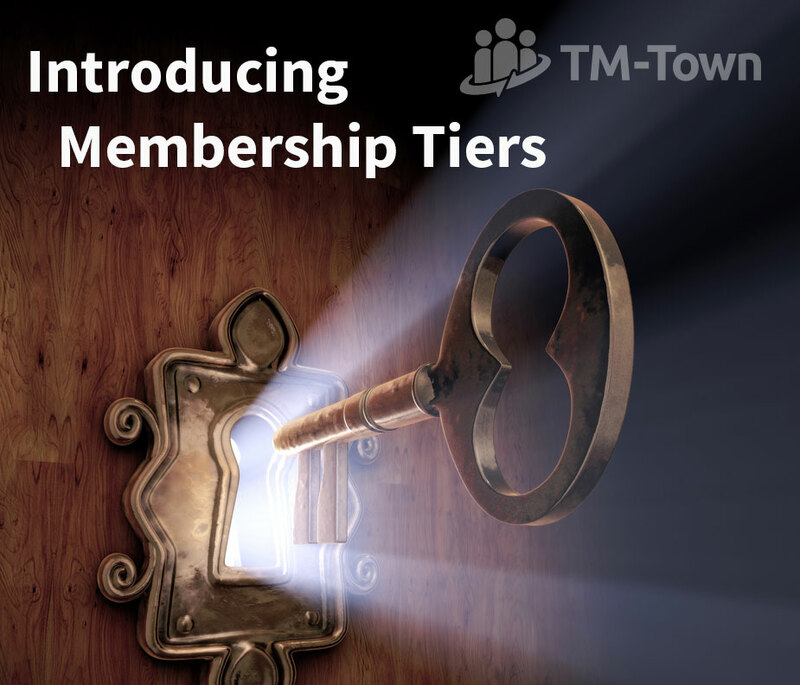 Starting today TM-Town is introducing two paid membership tiers to complement our free plan. By offering these new paid tiers we believe we will better be able to serve professional freelance translators going forward. At TM-Town we experimented in the past with allowing clients to purchase translation directly from our platform. However, we are not an online translation agency nor are we necessarily equipped to be one, so we moved away from this business model as our strengths have always been in serving the professional freelance translator. We believe that our new pricing structure (i.e. charging translators as opposed to charging clients) allows us to best serve you - the professional freelance translator. Charging translators allows us to stay in tune to your needs and to focus our development efforts on features and tools that improve TM-Town for you and help you to grow your translation business and manage your TMs and terms. Nate and I are excited about the future of TM-Town as we have many plans for new great features for translators. The other benefit of this model is that it let's us get out of the way when it comes to dealing with your clients. Our goal is to help clients find you without creating needless obstacles in order for them to reach out to you. Clients that discover you on TM-Town are yours to negotiate with as you see fit. Our interests are aligned with yours. Conversely, this also makes TM-Town more attractive to clients as they can use TM-Town to find the best professional translators in the world and don't have to worry about paying a middleman or finder's fee. So what do the new paid tiers look like? Take a look at our membership pricing page to learn all of the details. Basically speaking, the paid tiers allow you to load more documents and index more segments and terms in our search (and thus leverage those segments and terms through our CAT tool extensions). To reward all of the great translators who have supported us to this point we are giving all current TM-Town members (those who sign up to TM-Town before January 1st, 2016) 1,000 document uploads for the free tier. Thank you to all the wonderful translators who have supported us so far and we hope that you can continue to support our mission by purchasing a paid tier. Nate and I will continue working hard to improve TM-Town and help you grow your translation business. If you have any questions or comments on the new pricing tiers please let us know in the comments below. Thank you for all your hard work, Kevin! I hope that this model will work for you and the TM Town community. And thanks for those 1000 uploads! Really appreciate that as I still need to explore the functionality of the website, but I love your dedication and wish you a successful 2016 with lot's of new awesome members and new great features for translators. Happy New Year to you, Nate and your families! High-five from Toronto! Thanks for the kind words Dmitry! Likewise, I'm really looking forward to seeing The Open Mic continue to grow and improve. Thanks for all your support and wishing you and your family a happy and healthy 2016! Ukraine Posted over 3 years ago.